Steampunk has seen a revival in popularity over the last few years, and it's not hard to see why. We're a country that loves its technology, traditions, and its ability to be creative and imaginative. Steampunk is a subgenre of books and fashion that lets you do just that. It have even gotten so popular that it has its own reality TV show! So you might be thinking now...what can you do to get into Steampunk? Here's what this costume entails: 100% polyester fabric, with an elastic waist and cutaway tailcoat. It's got faux pocket welts to add accessories to, as well as faux elbow patches and epaulets. 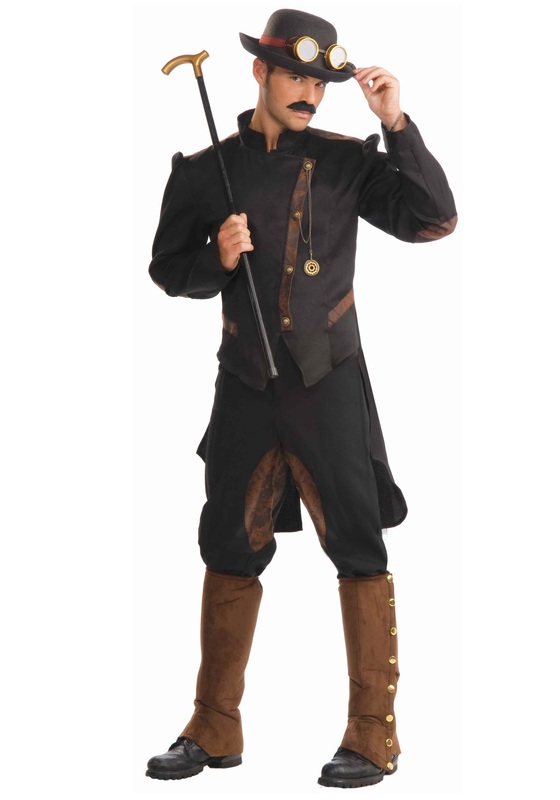 Definitely check out our accessories page, as we have plenty of items to add to this costume, such as a hearty pair of boots or a gentleman's cane and monocle. Steampunk is a great chance to be creative and expressive, don't miss out!